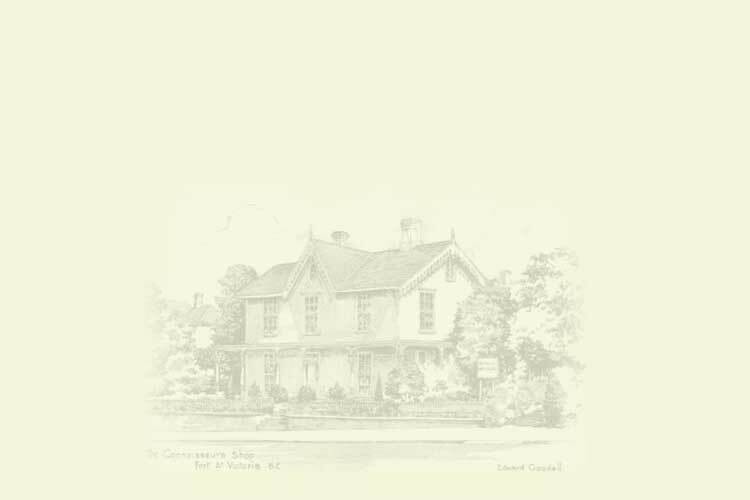 Our shop features a wide selection of 18th and 19th Century Furniture, Silver, China, Paintings, & Accessories displayed on two floors. 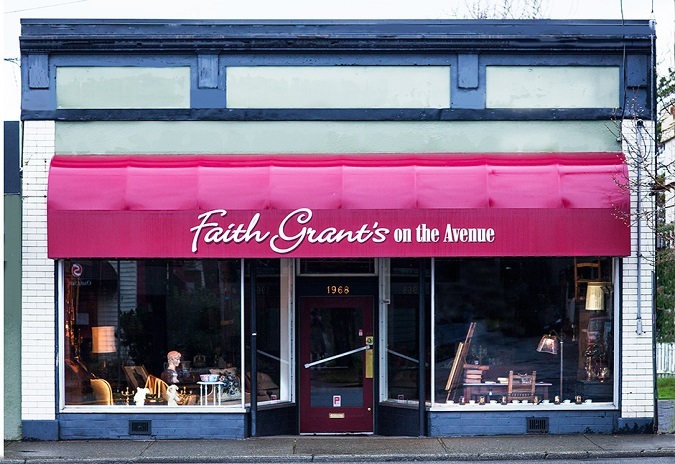 The Faith Grant Connoisseurs Shop was established in 1929, the shop is now in its third generation of ownership and has become a traditional haunt for antique collectors from around the world. Shipping can be easily arranged and all major credit cards are accepted. Victoria is known around North America as a great spot to search for quality antiques, particularly those of British origin. Because of this City's special links with England, and its status as a pre-eminent retirement centre, Victoria has always attracted citizens who own exceptional collections of porcelain, furniture, silver, jewelery, and objets d’art. "We get customers from all over the world," says Heather Graham-Dickson, current owner of the shop her grandmother started. "A lot of people find Victoria a more pleasant place to shop than Vancouver", she adds. Finally, in the interest of guilt-free shopping, we'd like to point out to Americans that both antiques certified to be over 100 years of age and original works of art are duty free. On other purchases, the duty free exemption is $400 U.S. per person for a stay of 48 hours or more. Family members, including infants, are allowed to combine their personal exemption. A flat 10% rate of duty is applied to the next $1,000 worth of merchandise.